Aqua Deli Cafe Quality fresh food served in a hospitable enviroment. Aqua Deli Serves fresh, flavourful sandwiches, paninis and wraps and other meals prepared from the finest, fresh ingredients. 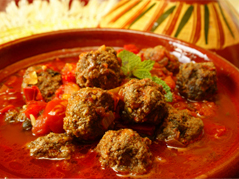 All the meats we use in our food are Halal, as we cater for our diverse customer base. 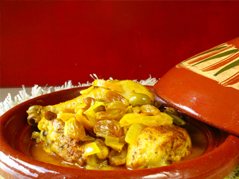 Alongside the usual menu of any good deli we cook daily Moroccan hot specials as well as different Moroccan specialities. Everything we make is made by hand everyday so our customers can not mistake the quality of our food. Aqua Deli also provides wholesale sandwiches to shops and other retail outlets. If you have a special occasion to celebrate or a business meeting, corporate lunch or buffet function our catering menu offers more to choose from. We aim to keep our customers coming back so we will cater for all budgets so please get in touch to discuss your specific requirements. The Deli is located at 15 Leyden Steet which is located in a quiet oasis just of London's Middlesex street and its famous Petticoat Lane Market. We are 5 minutes from Liverpool street station and London's historical Spitafields Market. Our locations in trendy East london offers convinient shopping on the doorstep of the deli. We look forward to sharing our passion for good food and service with you, and welcome you as our guests. We are proud of the time and effort that goes into preparing each of our dishes and look forward to serving you.